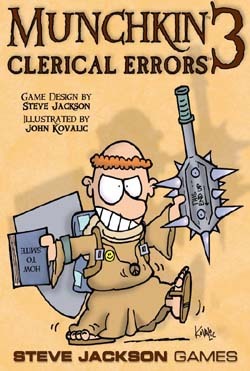 The RDG Team hasn't gotten around to writing a review for Munchkin 3: Clerical Errors. YET. We're writing up new reviews all the time. (And adding new games to review!) And this one is on the To Do List. But we could really use your help! If you'd like to say a word or two about Munchkin 3: Clerical Errors, click here and we'll put it online!